parts washers repair parts, detergents and free repair help. Ask our service technicians your repair questions. See our photo gallery of repair part photos and part numbers. Shop online or use our toll-free 800 number. No-hassle returns. 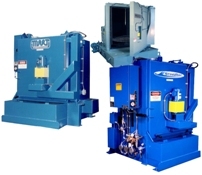 StingRay Tech provides high quality parts washer installations, repair parts, service, and repair for your MART Hurricane, Cyclone or Tornado parts washer as well as all StingRay Aqueous Parts Washer models, Proceco Typhoon, and JRI Parts Washers. We keep your aqueous parts washer running at top performance. We offer everything from repair and inspections, to certified installations, to upgrades and retrofits. Our huge inventory of Industrial Washer Repair Parts are in stock and available for immediate shipment to service and repair your MART Power Washer or StingRay Parts Washer. Join the Industrial Parts Washer revolution and let StingRay Tech Services help service you along the way. Contact us today for all your MART Power Washer or StingRay Parts Washer repair, parts, and service!